If you can imagine it, you can design it. Design, prototype, collaborate all in one place. Available on Windows, Mac or simply in the browser. No credit card required. What makes UXPin stand out? Other design tools only allow you to fake interactions by linking whatever you draw. What they lack are our interactive states, logic and code components. Spare yourself chaos and redundancy. Fill your design with interactive elements without the need to duplicate artboards. Design from one source of truth. Prototype with functional and interactive elements generated from production code. Get much closer to real, coded apps — add a layer of logic to your prototypes, store and manipulate users' input. Then, ideas need a place to come to life. 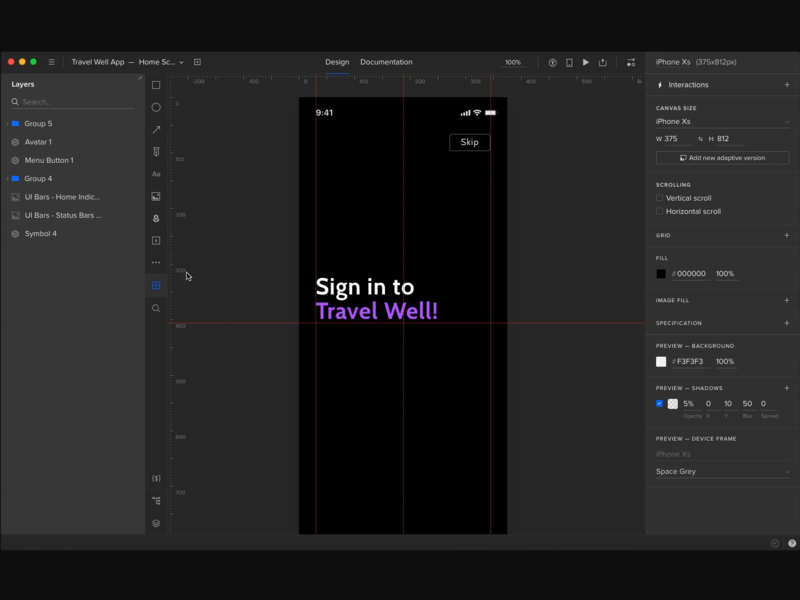 Create everything from well-planned wireframes to intriguing interfaces in UXPin. Together and in real time. Gain access to libraries for iOS, Material Design and Bootstrap. Not to mention hundreds of icons for you to work fast. Use fully interactive text fields, checkboxes, and radio buttons instead of drawing their static imitations. Draw and combine vector shapes to create icons or beautiful illustrations. Point and curve smoothly. Create once and re-use. Customize the ones you want. Update them all with a single click to save hours of work. Automatically sync React.js components to UXPin from your repository. Never redraw your patterns all over again. Kick-start your prototyping by importing an existing web page or any piece of it to UXPin. Make your design meaningful. Use your own data in various formats or ready-to-use content, such as avatars, cities, and names. Keep your designs in line with WCAG contrast standards. View them as people with one of the eight different types of color blindness. Work together on the same document in real time. It doesn’t matter if you use Windows, Mac or a browser. Just like Google Docs! Prototypes that feel like the real thing. 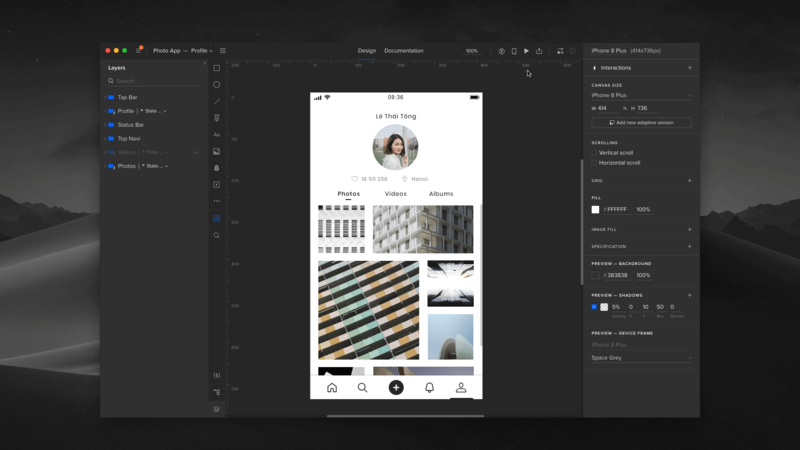 UXPin is not your average prototyping tool for linking static screens or artboards with transitions. It gives you everything needed to design prototypes that work like they’re the finished product. Design different versions of any element and animate between them. Update properties between states with just one click. Dynamically update text elements, capture data from inputs or store user preferences to use later on your prototype. Add a layer of logic to your prototypes. Set rules that make the interaction happen only if those rules are met. Link pages and create deligthful transitions between them quickly. Choose from over ten options. Preview your prototypes on mobile devices fast and easy. Available on iOS and Android. No USB/Wi-Fi needed. Just scan the QR code. Using Sketch? Import your Sketch files to UXPin so that you can pick up right where you left off. A revolutionary technology that connects design and engineering. Merge lets you import and sync code React.js components from Git repositories to the UXPin Editor. Collaboration doesn’t get easier than this. 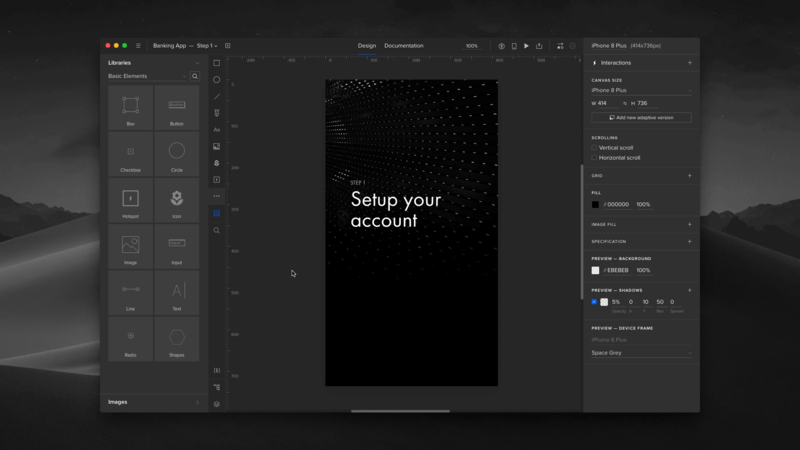 Instantly share anything you create in UXPin. 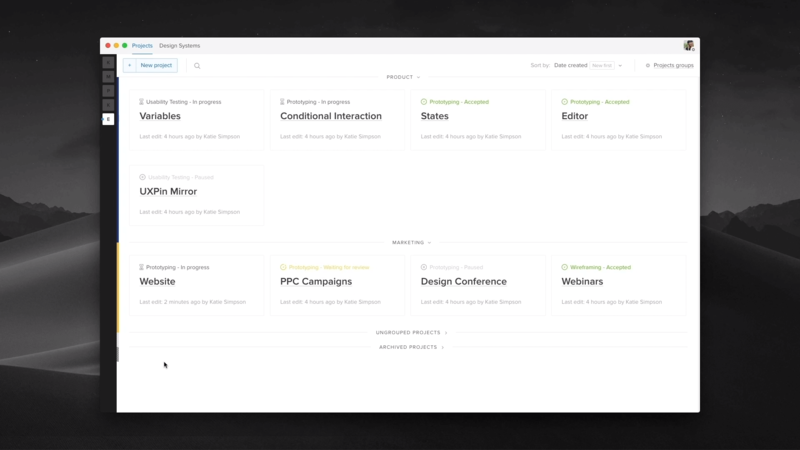 Collect feedback from your team, share specs with developers, get approvals from stakeholders — all in one place. Every prototype has its own shareable link that’s always up to date. You can even password protect it. Collect feedback from your team to iterate quickly, stay in sync and ensure transparency throughout the whole process. Highlight the sense of responsibility and teamwork by assigning team members to comment and keep up with changes. Invite stakeholders to your prototypes and get their official approvals, without them having to sign up. We wish you approvals only! Make it easy for developers to check the visual specs of your components, such as measures of distances, sizes and styles. Set up detailed guidelines or simply leave notes. Then, pin them to specific elements on your prototype. Keep a summary of all colors, fonts and assets from each prototype in one place. The style guide updates as you design. Get Slack notifications or emails when things change or someone mentions you. Build dynamic, cohesive and reusable design systems that are easy to maintain by everyone in your team to ensure consistency across designs. Create a set of shared colors, text styles, assets and UI components to ensure consistency and increase productivity. Set team permissions for your design systems to have full control over who can edit or view them. Push and pull changes with one click. Rest assured, everyone on the team will always use the latest version. Keep company design guidelines, assets and components. Look up documentation, and code. In one place. Developers can access your design system in JSON, as well as popular styling formats to integrate them with the code. A neat dashboard with all your designs. Keep things organized. Invite others for smarter collaboration. Enhance team productivity and push things forward together. As your design evolves, make sure your team is well aware of the progress. Save your designs, retrieve at will, and make them accessible to those involved. Invite others to you view your designs and assign team permissions accordingly. Never miss out on what’s going on. The activity sidebar lets you stay on top of things. Anything you design is securely encrypted and fully backed-up. We can never stress this enough. With dedicated web, app, and database tier, your company’s data is completely isolated from other UXPin's customers. I use UXPin for everything from hi-fi prototypes to my own rough drafts. 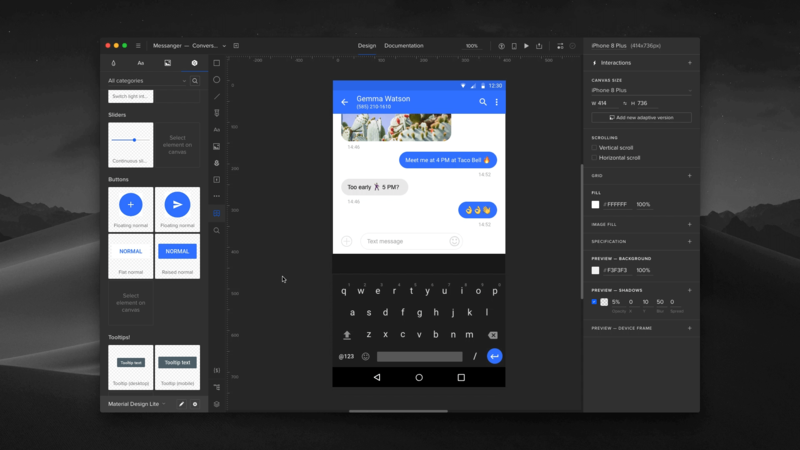 UXPin gives you flexibility and creative freedom you can’t find anywhere else. 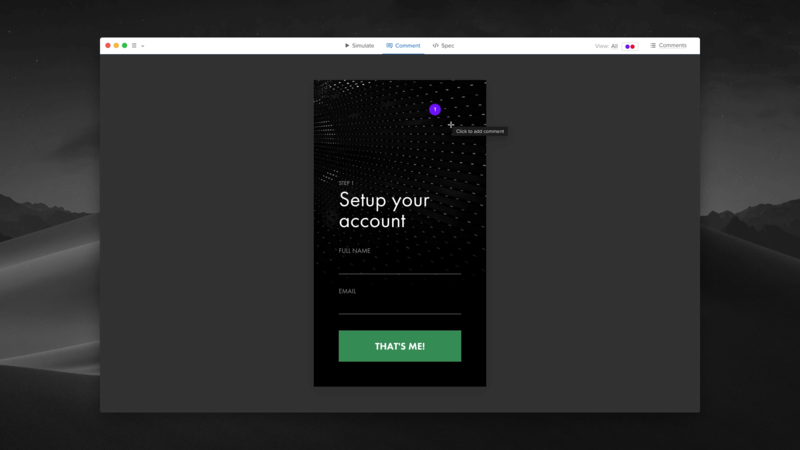 UXPin prototypes gave our developers enough confidence to build our designs straight in code. If we had to code every prototype and they didn’t test well, I can only imagine the waste of time and money. Design, prototyping and design systems solution chosen by the best. © UXPin Inc. All rights reserved.